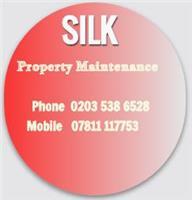 Welcome to Silk Property Maintenance. Specialists in domestic and commercial property, maintenance and refurbishment. You can count on us to make the most of your property.Combining the highest standard of work with competitive rates, you might just be surprised at how affordable our building services can be. All work is undertaken by skilled and reliable workmen and is fully guaranteed for your peace of mind. Quality building services at competitive rates, All areas of property management and refurbishment.